Tea Tree Oil (Melaleuca) is well-known for its antiseptic and antifungal properties. It also has plenty of uses for hair (Tea Tree Oil for Hair Growth) and skincare. Currently, I add the essential oil to my conditioner, shampoo, scalp oils, blemishes on my skin. I also make a homemade house cleaner from it. When I was contacted by PARNEVU to try some of their products, I stuck with something I was familiar with, and chose two of the thirteen items from the PARNEVU T-Tree Oil line as well as a product from their extra dry line. First, I’d like to point out that the PARNEVU T-Tree Oil line smells wonderful. If you are familiar with tea tree oil you’d know that it has a distinct scent that you either deal with or hate. In my case, I just end up mixing it with other essential oils to cut the smell. The PARNEVU T-Tree Oil line won points in this aspect. The PARNEVU T-Tree Oil Break Control, upon application left my hair feeling soft. I fell in-love with it! The texture is creamy, and it’s not oily/greasy, which is perfect for my fine hair. It doesn’t weigh my hair down; therefore, I am able to apply it more than twice per week or even daily. I did notice that if it isn’t massaged into the area it’s applied to, you are left with a whitish residue of sorts. Imgagine going to work via public transportation, to get there and have your coworker tell you that you have white stuff in your hair! Oh well, lesson learned – the hard way. I did like that it softened my hair. I did experience reversion in the areas where I applied it to my new growth. It’s okay since it doesn’t completely ruin the look of my hair style. I also like that the PARNEVU T-Tree Oil Break Control left my hair shiny and healthy looking. 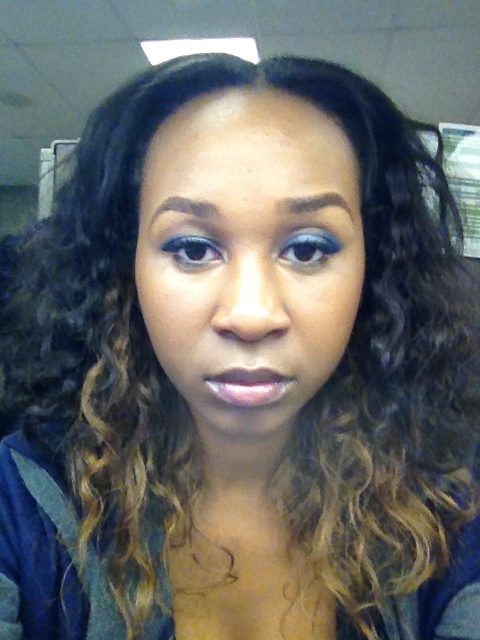 As far as reducing split ends and preventing breakage, I didn’t really notice much in that area. PARNEVU T-Tree Scalp Oil is a uniquely formulated to be applied daily directly to scalp to stimulate, heal, and repair hair and scalp, reducing itching, flaking and dryness while promoting healthy growth. For a complete treatment, also try PARNEVU T-Tree Herbal Grow and Leave-In Conditioner. When one thinks about the PARNEVU T-Tree Oil line, you would think that the main ingredient would be TEA TREE OIL. It is not. Tea tree oil (melalEuca) is #14 of 16 ingredients. Amongst a ton of other oils, I was happy to see that the PARNEVU T-Tree Oil does have Olive oil, Castor Oil, wheat germ oil, which I currently use in my at-home scalp treatments. Since Tea Tree oil wasn’t high on the ingredients list, I added my own plus some peppermint oil to it. I only added my own essential oils after I tried it and noticed it wasn’t really helping with the itches, until after I added more Tea Tree oil to it. 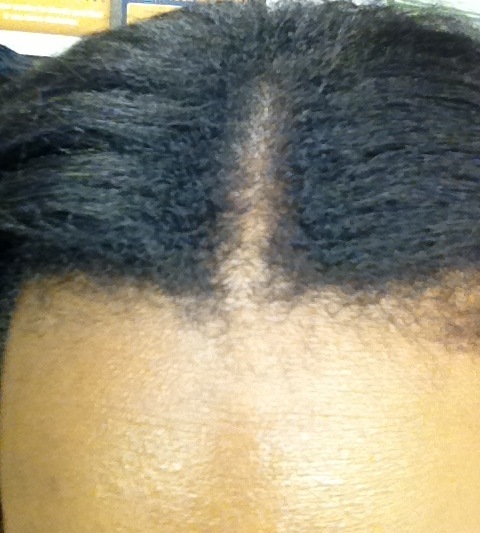 I have a sew-in weave. The nozzle applicator makes it especially easy to apply the product. The bottle itself is user-friendly, too. The bottle is small enough to hold in your hand and maneuver around. The oil, if applied daily will weigh down your hair, especially if it is fine, and if you don’t wash your hair weekly. The PARNEVU T-Tree Oil product line is priced low enough for you to try them on your own. If you can find them onsale, that’s even better. I would recommend the T-Tree Break Control just because it helped with shine, moisture, and keeping my hair soft. I wouldn’t recommend the oil so much since you can probably make a whole batch of it yourself for less money. That is, of course, you don’t have the time to make your own concoctions, buy it. Like I’ve said numerous times, just because something may not have worked for me or has worked for me, does not mean it will prove the same results for you. Have you tried PARNEVU Products? What do you think? Disclosure: Products reviewed in this post were provided to me by the company or its PR for review consideration. I was not compensated monetarily for this post. All opinions in this post are my own. Hair Care Tuesdays: Hair Vitamins for Hair Growth – The Facts! I love tree tea oil for my skin but I haven't tried it on my hair yet. I want to test this out, I heard its really good for hair loss and hair growth. You can add it to your conditioner or shampoo… create a scalp oil… I've used it to make a house cleaner.